The sports trim market has evolved over the years, with a few new players coming and going, and with some older models being reinvented to keep up with the times. The 2018 Nissan 370Z Touring Sport is the latest in a series of models that has been around for the better part of a decade, since it was first introduced to the North American market in 2009. It has continued to weather the test of time through a variety of changes. There are a couple of mechanical updates to the 370Z Touring Sport as well, including a revised torque curve for the 3.7L V6 that Nissan says optimizes the car’s acceleration, and also a new Exedy high-performance clutch for manual transmission models. The car also features a Bose Premium Audio system, the Nissan Navigation System, bigger brakes, and a viscous limited-slip rear differential. The six-speed manual transmission in the 2018 370Z Touring Sport is also a relatively nice piece of kit. The clutch is well-weighted and provides a good amount of feedback, and does well in both civil and spirited driving. 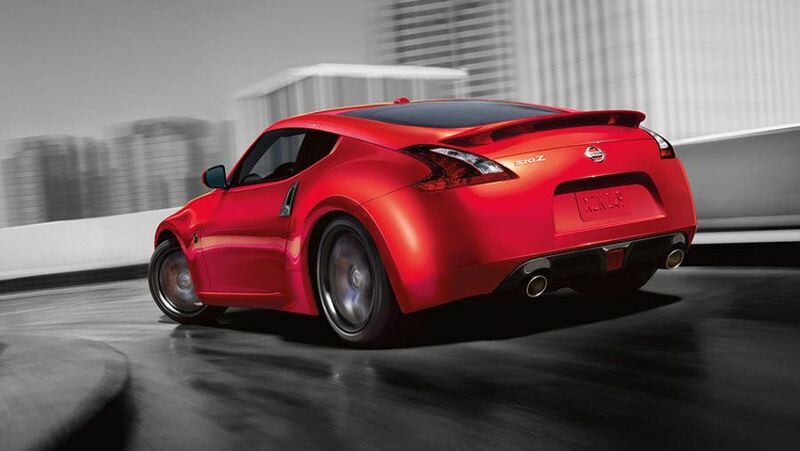 The Nissan 370Z was one of the first cars with a rev-matching manual transmission. With S-Mode enabled, both upshifts and downshifts are perfectly rev-matched, which makes every driver look like a pro when it comes to shifting in daily driving and most performance driving situations. Actual expert drivers may find themselves outperforming automatic rev-matching when driving at full bore. The shifter is well-weighted and features positive engagement and minimal slip. View our inventory. Inside, there’s room for two occupants with a dashboard layout that’s reminiscent of the late 2000s. The seats are comfortable and there’s power adjustment on the leather buckets. When it comes to putting the ‘sport’ in ‘sports car,’ the 2018 Nissan 370Z Touring Sport is a choice that manages to deliver fairly well. Since it’s been around for so long, it still has old-school hydraulic power steering. While the assist is overboosted at low speeds, it firms up nicely when pushed, and provides more road feedback than today’s average electric power assist setup. The double-wishbone front and multi-link rear suspension give the 370Z Touring Sport sure-footedness in the corners, but without making the ride quality too harsh. It’s a great suspension design for a daily driver, weekend road tripper, and summer track beast all at the same time. All told, the 2018 Nissan 370Z Touring Sport is an oldie but a goodie. Even though it’s been around since the 2009 model year, it remains a competitive option against more modern and newer releases. Nowadays, a common complaint is the numbness and disengagement of new cars. 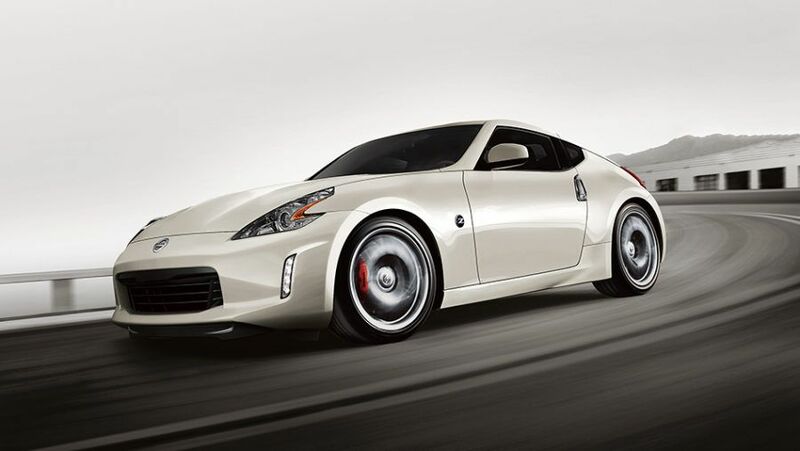 The 370Z Touring Sport is pretty much the last bastion of the way things were, but with the added bonus of features like Rays 19-inch wheels, auto rev-matching, big brakes, and a limited-slip differential. If you’re in the Whitby or Oshawa area, we invite you to book your test drive at Midway Nissan today!